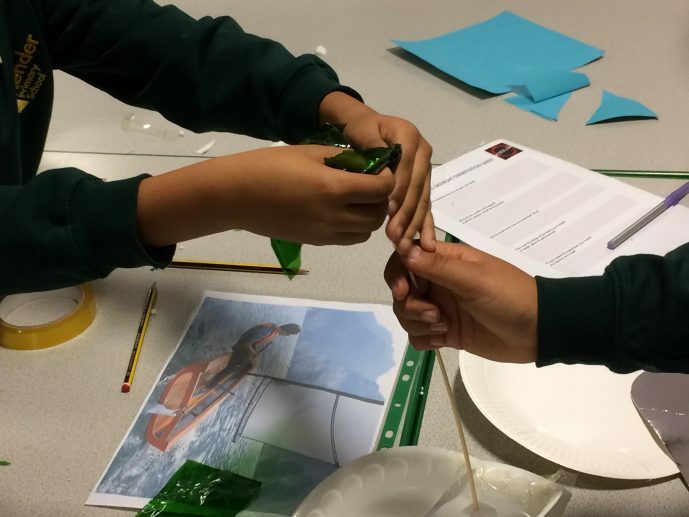 The Lenox Project has teamed up with Smashfestuk to carry out a series of workshops in Deptford schools as part of our outreach programme funded by Tideway. 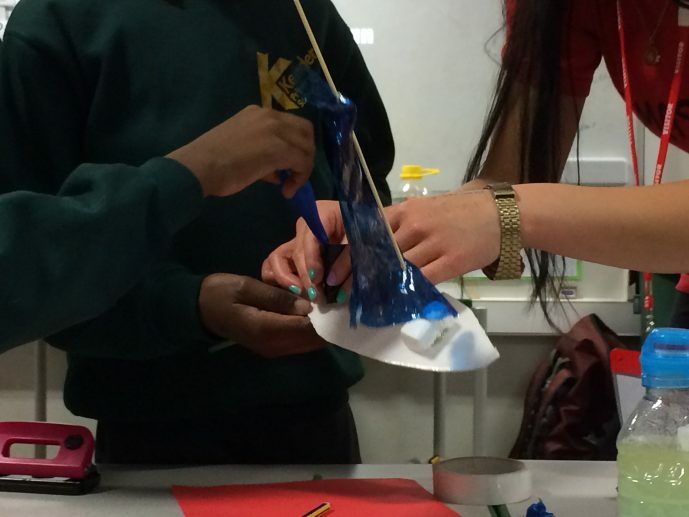 We’ve been visiting local primary schools to introduce them to the history of Deptford’s former Royal Dockyard, tell them about the Lenox Project, and get them thinking about boat building, how vessels float and what makes them move across the water. 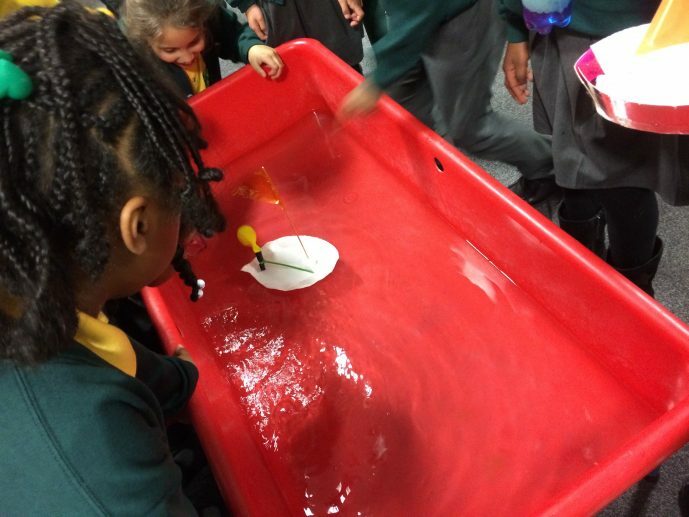 Each team gets a chance to choose what materials to use for their boat, think about what shape is best to keep it afloat and help it to move, and to have a go at building and sailing their own vessel. Students also learn about the densities of different materials and try to work out what’s happening when you put water, oil and polystyrene in the same bottle together. We’ve had great fun going into our local schools and telling them all about the history of Deptford and getting them excited about boat building. As these students could be our future crew we need to get them on board (pun intended!) as young as possible! 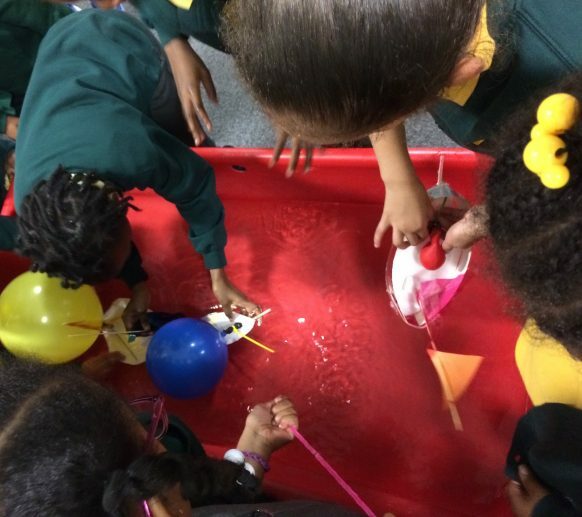 Smashfestuk’s annual science, technology, engineering and arts festival for families takes place at the Albany and the Deptford Lounge from 12-16 February – and it’s totally free! 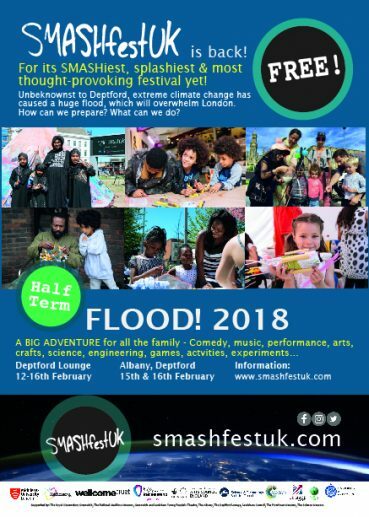 This year’s theme is flood and there’s plenty to do for all the family, including boat building – we hope to see you there! This entry was posted in News by news. Bookmark the permalink.